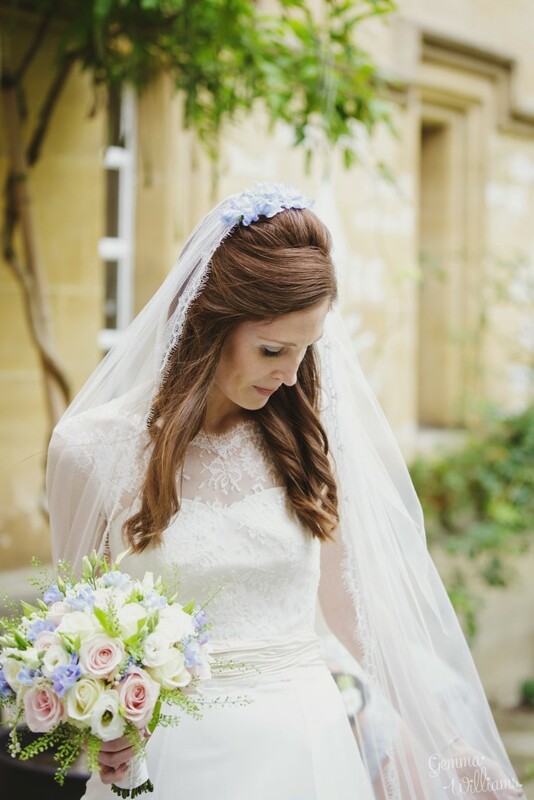 Kathryn and Paul's beautiful wedding flowers at Rhodes House, Oxford - Joanna Carter Wedding Flowers | Oxford, Oxfordshire, Berkshire, Buckinghamshire and London. 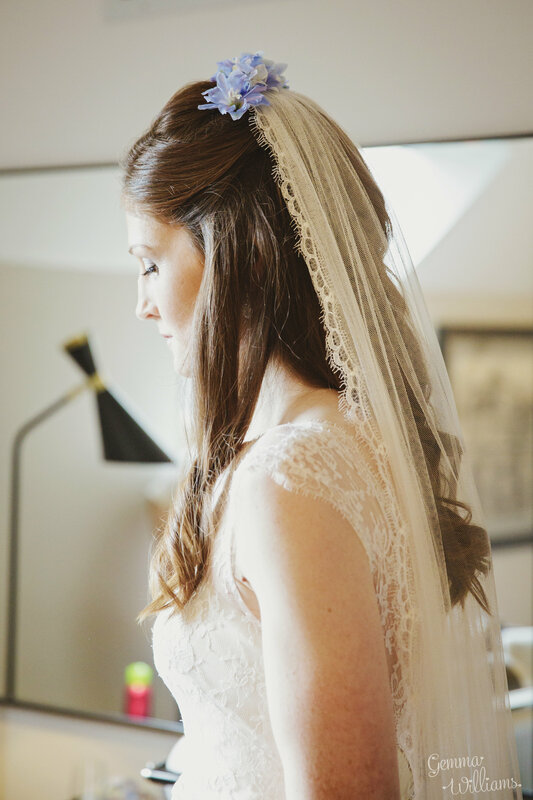 Kathryn and Paul got married on a wonderful Friday in early September, making the most of the lovely indian summer weather. 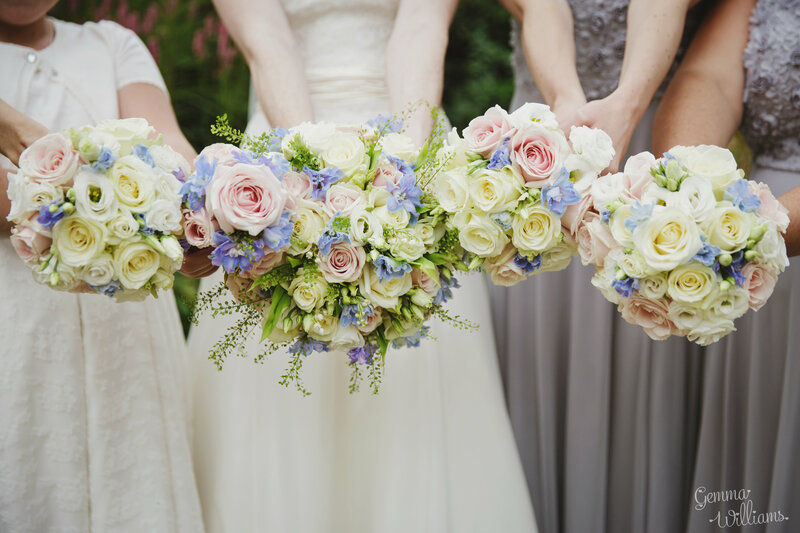 Kathryn chose a mix of ivory, soft pink and pale blue for the flowers, a lovely warm summery mix, perfect for the time of year. 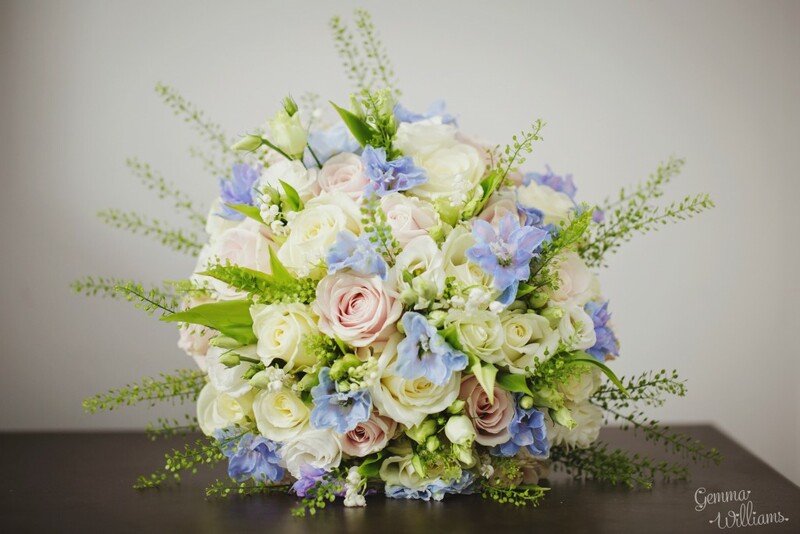 We used stunning pale blue delphinium buds throughout the day for a lovely touch of gentle powder blue. 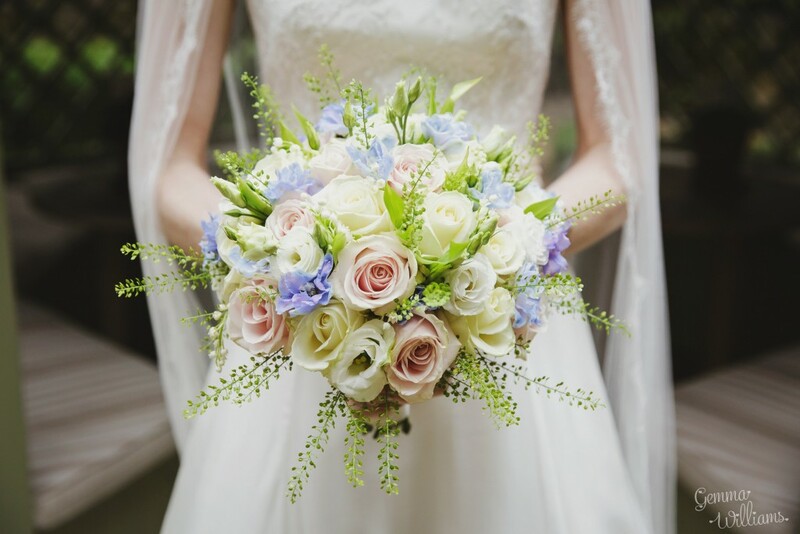 Alongside this were avalanche and sweet avalanche roses, lisianthus, lily of the valley and hydrangea. 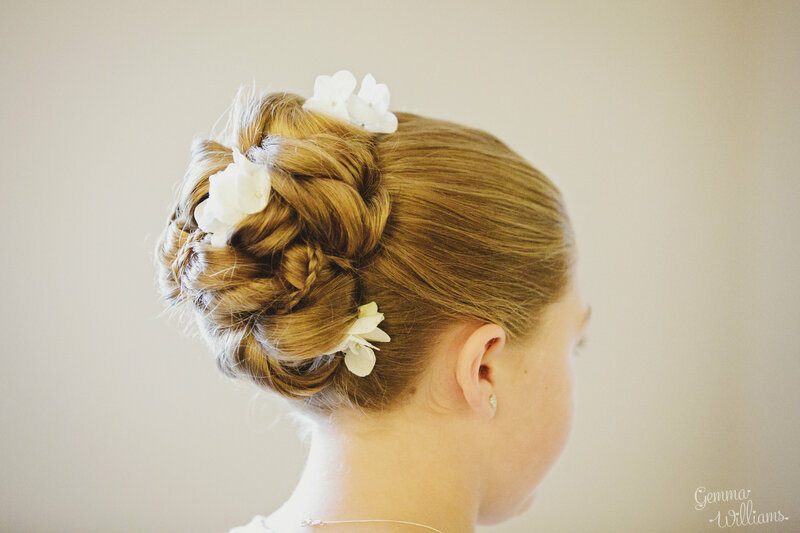 We even managed to include the lovely delphiniums in Kathryn’s hair, while the bridesmaids had tiny clusters of white hydrangea. 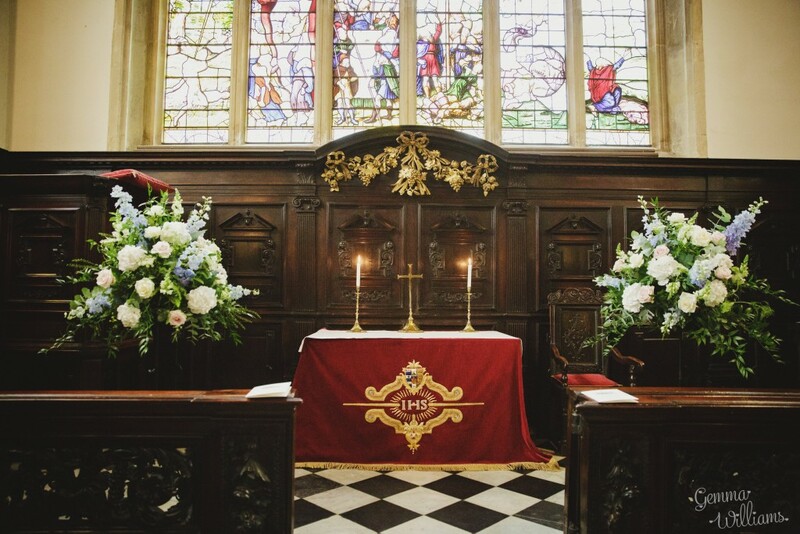 The wedding ceremony took place in the ornate chapel at Lincoln College, one of the beautiful historic Oxford colleges. 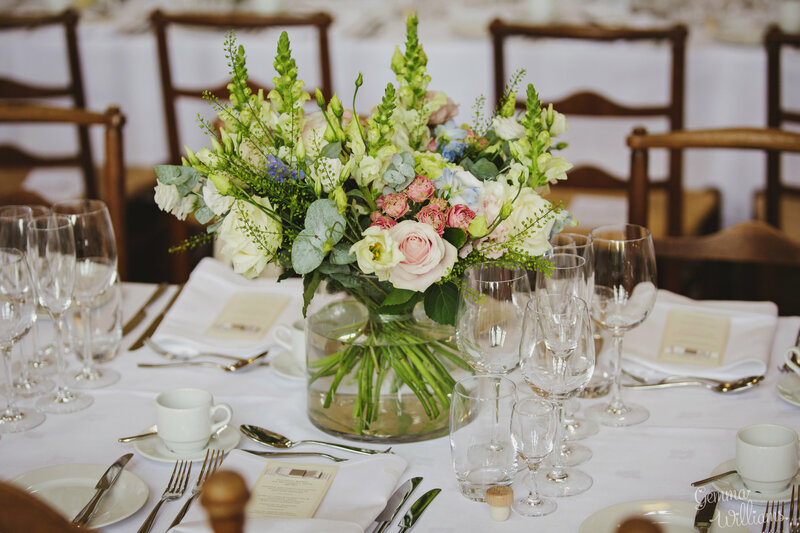 As the chapel is so ornate, it only needed 2 pedestals arrangements at the top of the aisle to add a burst of colour and soften the room. 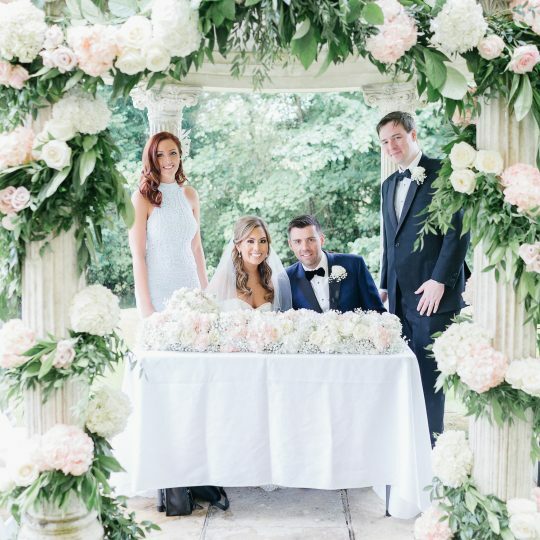 Following the ceremony the couple had some photos in the lovely flower filled Quad outside the Chapel before heading to Rhodes House for their reception. 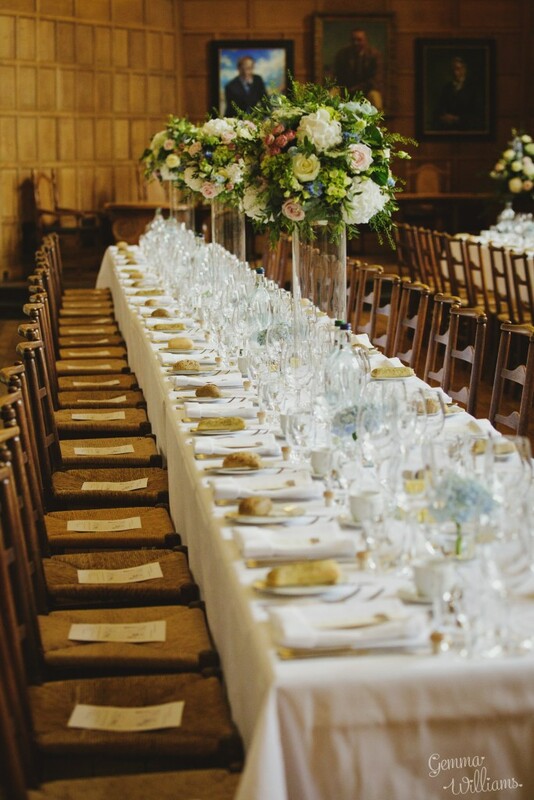 The wedding breakfast took place in The Milner Hall at Rhodes House, a lovely large light filled room with long banqueting tables for guests. 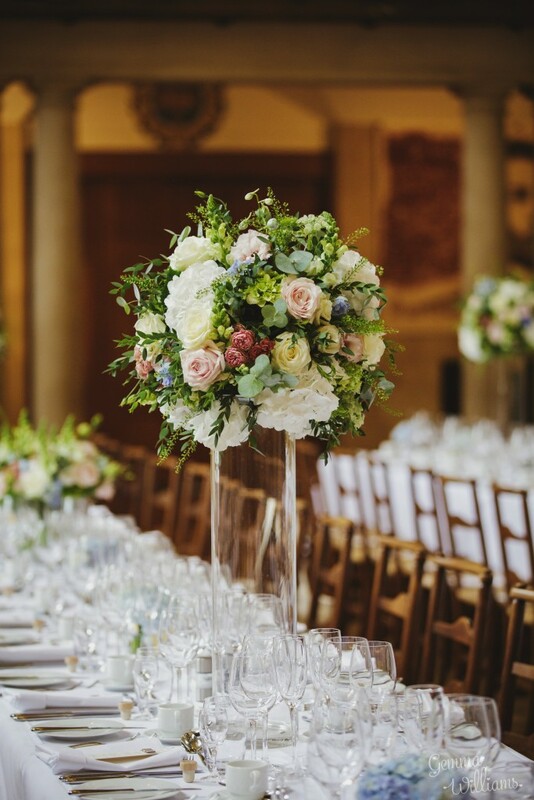 We placed tall slim cylinder vases topped with a ball of ivory, soft pink and powder blue flowers on top and then placed tiny vases of blue hydrangea in between. In front of the bride and groom we placed a low version of this combination of flowers to ensure they could be seen when it came time for speeches. 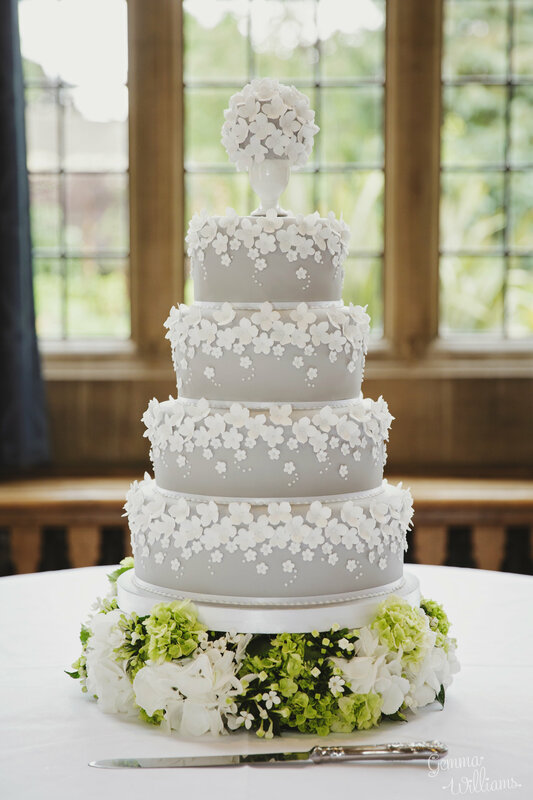 Kathryn and Paul chose a stunning cake from www.cakebyrachel.co.uk with 4 tiers covered in dove grey icing with small white bouvardia petals on. We sat the cake on a lovely ring of flowers . 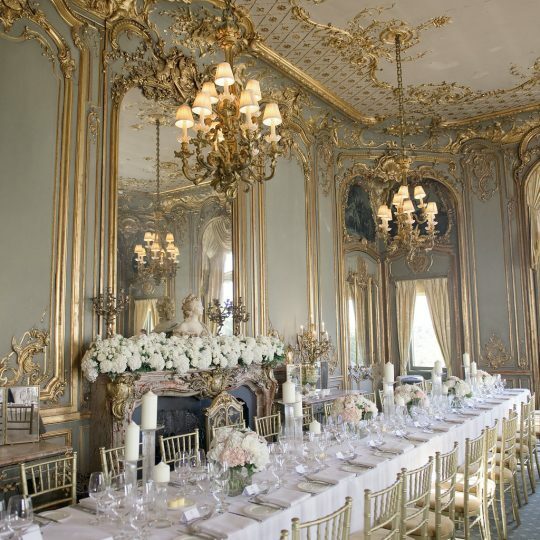 The Milner room has a lovely bay window overlooking the gardens that is the perfect setting for the cake! 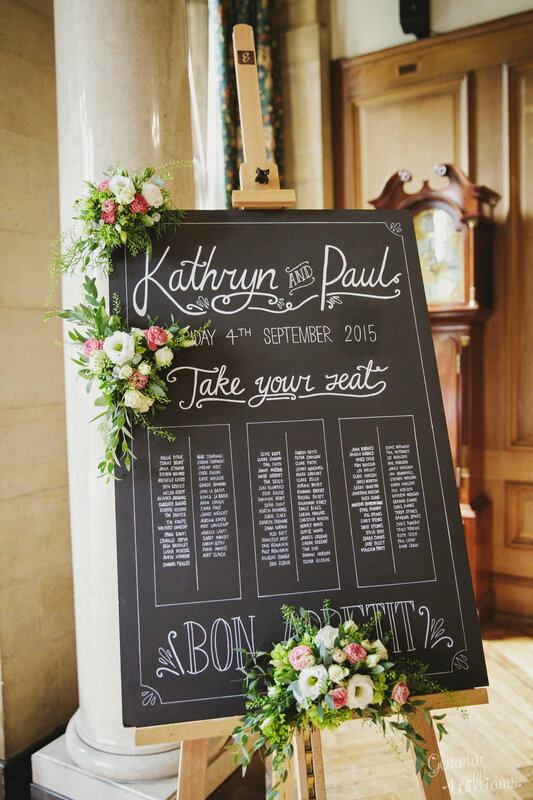 Our final arrangement was placed on the table plan where we added 3 little clusters of flowers to the table plan blackboard. 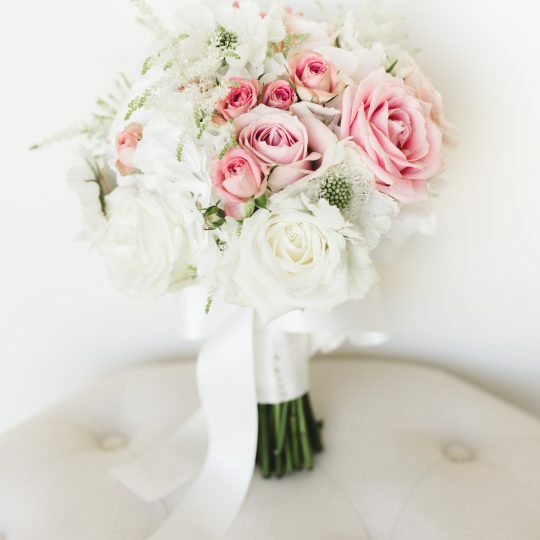 A really pretty little addition!